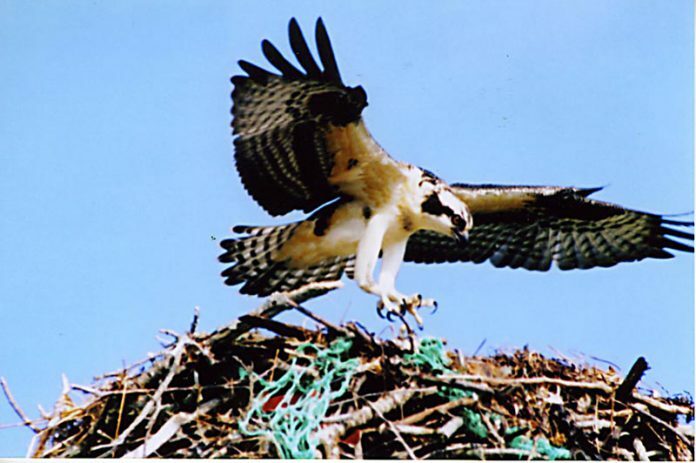 After a successful first-flight test,this young osprey returns to the nest. Mom proved a familiar sight in the local sky;she hatched two chicks in mid-July. From the time each emerged from its shellit flapped its wings, often and well. After seven weeks, bye and bye,their flapping would lift them into the sky. This one’s local fame cannot fail;it’s the logo on each bottle of Offshore Ale.